Name-changing and cross-platform chat also on the cards. 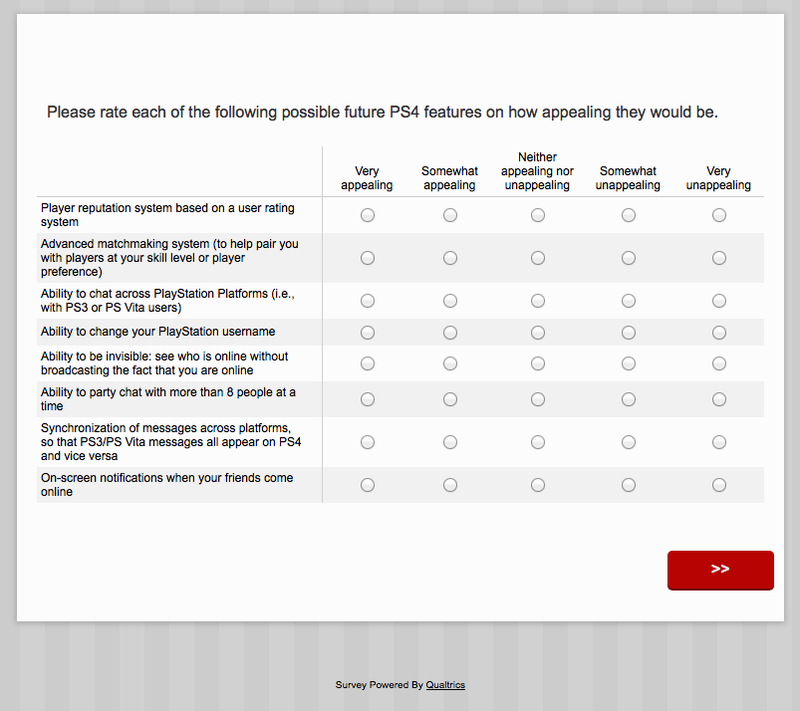 Sony has sent out a user survey to PlayStation 4 owners, suggesting the company is thinking about implementing a reputation system as well as the option to change your PS Username on its new console. The survey, which you can see below, suggests a range of new features could make their way to the PS4 in a future update, assuming that user demand is there. 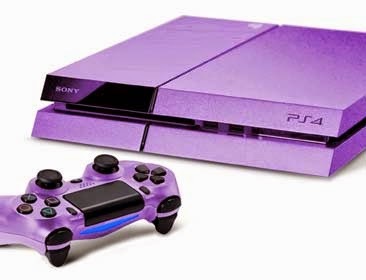 Alongside the reputation system and the ability to change your PlayStation Username, Sony is also seeing if there's interest among PS4 owners for an advanced matchmaking system designed to match you more closely with people at your skill level, and the option to appear offline. There's also queries regarding expanding the upper limit for party chat beyond eight, the ability to chat across all PlayStation systems, and on-screen notifications to alert you when your friends pitch up. No time frame for when we might see any of these features has been announced, assuming Sony decides to press ahead with them at all.